The ride(s): The Florida Safari is a week long series of rides in Northern Florida and Southern Georgia put on by the Florida Freewheelers bicycle club. There are 3 day and 6 day ride options. 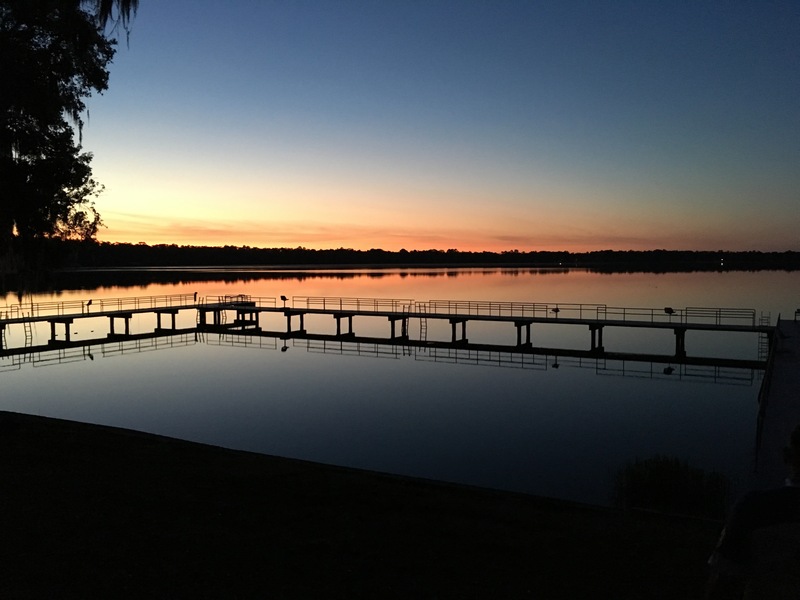 The first 3 days rides are from Live Oak Florida, and the last three days rides are based out of Cherry Lake Florida. The cost includes food and entertainment; and the food is very good. The courses are rolling but the climbs aren’t steep. There are a variety of distances offered each day, with two days offering full century courses. The courses were well marked and the rest stops were well placed and well stocked. The support was excellent. The Safari organizers are cyclists themselves, and they paid a great deal of attention to detail. It is a week long experience that riders tend to return for year after year. Day 1 – A mass start from the fairgrounds for a 67 mile ride to kick off the Safari. We were near the front and set off quickly. Some riders left early, so there were a lot of riders on the course, but we were ready to ride and we did so, at a good pace. I enjoyed myself but in retrospect it was foolish to put so much energy into riding on the first day of a 6 day event. I remember rolling back to Live Oak after a day in the hills at a virtual sprint. It was great fun, but my new bicycle didn’t quite have the fit dialed in. After we finished I was more tired than I should have been, and worse – I had a sore left knee. All that after having had little sleep after camping for the first time in years. No problem. 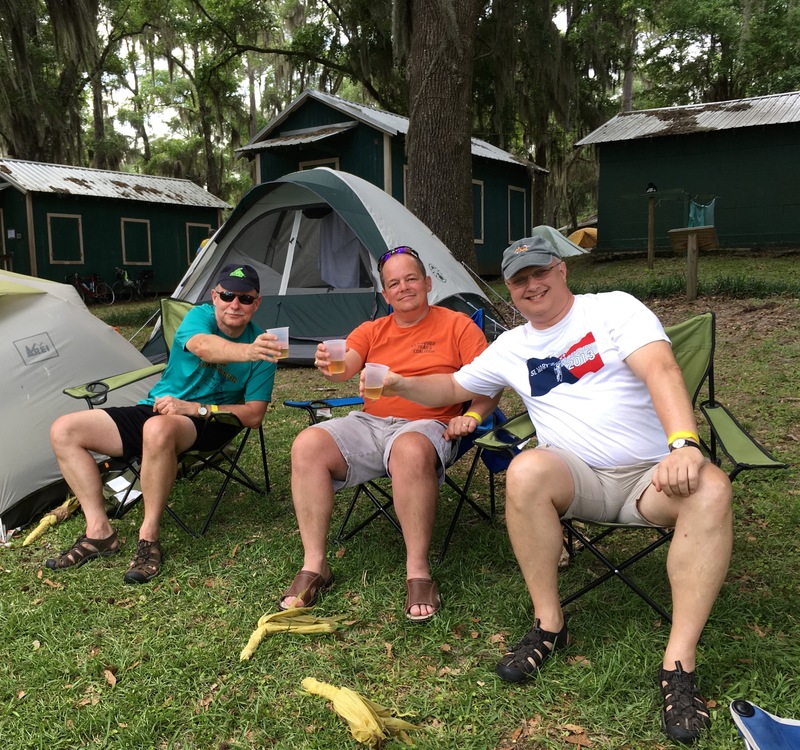 We had beer back at camp! Day 2 – I set out with my left knee complaining quite loudly, and the rest of my body complaining somewhat less. I would pay for that early speed on day 1. I wanted to ride the century that day – but that would not have been wise. At the first rest stop I went to the Safari mechanic at John and Ron’s suggestion – a true bicycle whisperer named Diane, and talked about my aching knee. She checked my position and adjusted my saddle, and I felt better immediately! 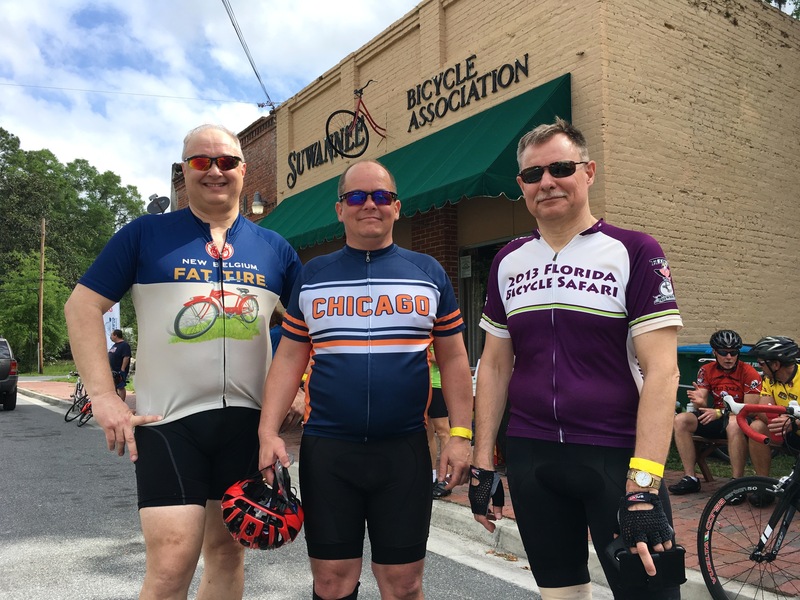 My knee was still tender, and the conditions were challenging, including headwinds over 20 MPH that day – so after suffering through 67 miles, my body surrendered. I caught a lift back to camp. No problem. We had beer. There was a band playing and good food, too. My body began to adjust to the new normal. I found lying on the ground no barrier to getting 5 or 6 hours of sleep. Day 3 – Transition to Cherry Lake. Breakfast. Break camp. 58 miles to the lake. My legs feel fatigued. I let my camp mates go ahead after the second rest stop, and rode in alone. A funny thing happened – I didn’t really slow down. I just needed more rest. Riding alone for half the ride was good. I didn’t feel like I was holding the others back. Cherry Lake turned out to be beautiful. I found that I could ignore my aching muscles and relax with the guys. 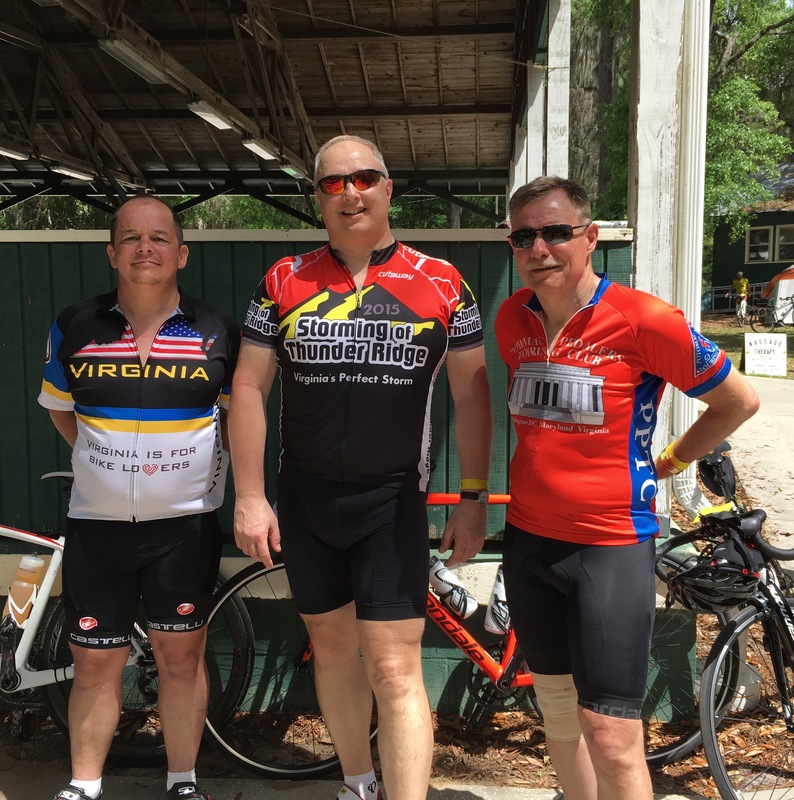 Day 4 – A century day, but I decided to go ride the metric+ and see who I could find to ride with. I ended up riding with a group from the Florida Freewheelers. I had a good time with them. They were also going to go for beer, so I was invited to their campsite that evening to swap stories and sip. I hooked up John and Ron with the group and we were once again celebrating a day on the bike with beer. Day 5 – A metric + ride into Georgia. I am back. Despite my aching legs, I can roll with my friends, and it feels good. The scenery is gorgeous, and the riding feels good, and the banter is familiar. I’m riding the way I want to. Bliss. This is the last night at Cherry Lake. The beer is provided, along with a barbecue dinner that is wonderful. Ron uses his experience as a DJ and radio expert to win a trivia challenge from our entertainer – and gets a T-Shirt for it. We feel spoiled. Safari feeds you well! 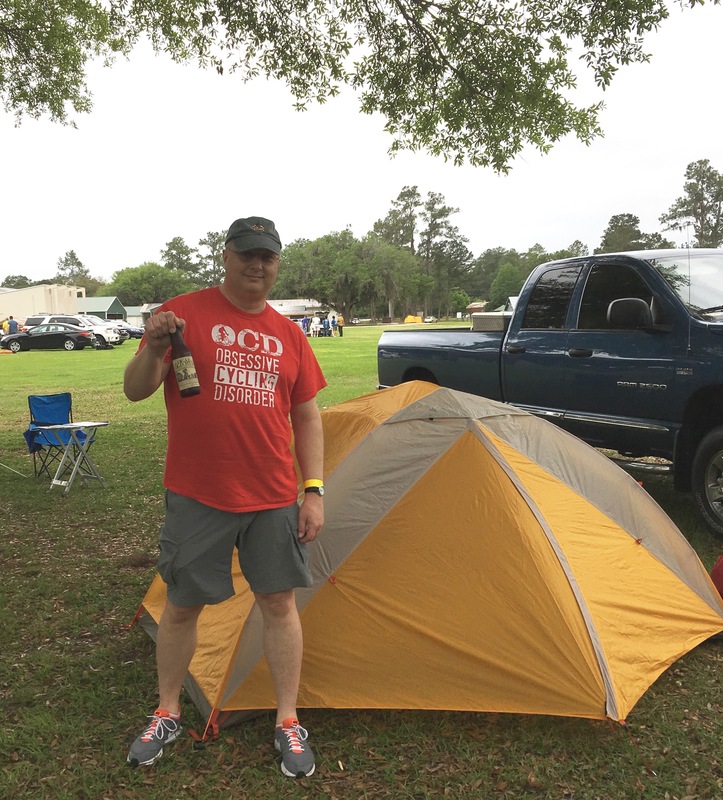 Day 6 – Back to Live Oak, our cars, and the end of the Safari. I am feeling good again. At the first rest stop, I am greeted by a friendly Border Collie. I love dogs. As I’m getting ready to ride again, I get a bump on my calf. I’ve been head butted by that little herding dog. Being herded by a Border Collie is a sign that I have to get moving and finish my Safari. The ride back includes the only busy road we took all week – and despite my getting a little too close for my comfort to a logging truck as I came off the front after pulling into the wind, the ride goes well. We arrive at the fairgrounds, pack up, shower, say our goodbyes, grab a complimentary slice of pizza, thank our hosts, and get on the road back to Maryland. I’ll remember a lot – camping, sunrise and sunset over Cherry Lake, coffee at 5:30 in the morning before jumping up into the queue for breakfast at 6, the excellent meals, the courses that challenged the notion that Florida is all flatland, all the great people to talk to, the roadsides full of wild flowers, owls calling at night, train whistles at night from the crossing in Live Oak, landscapes a painter would love, and good company along the way. Selections from my mental iPod during the ride: Far too many songs, with far too many musical genres to mention. Needless to say, music traveled with me wherever I rode. Statistics: 372 Miles in total. Not bad for an out of shape man getting short sleep. They are wonderful base miles for rides later in the spring! In camp at Live Oak, on arrival. Day 1. Suanee Bicycle Association rest stop. Day 3 – My bike among the roadside flora. Day 3 – Ron and John, headed for Cherry Lake. 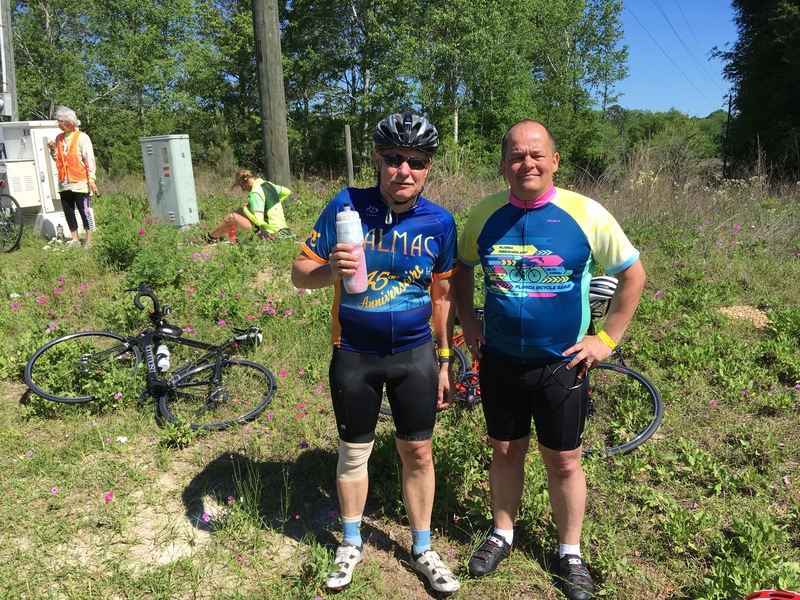 Day 5 – Post Ride! 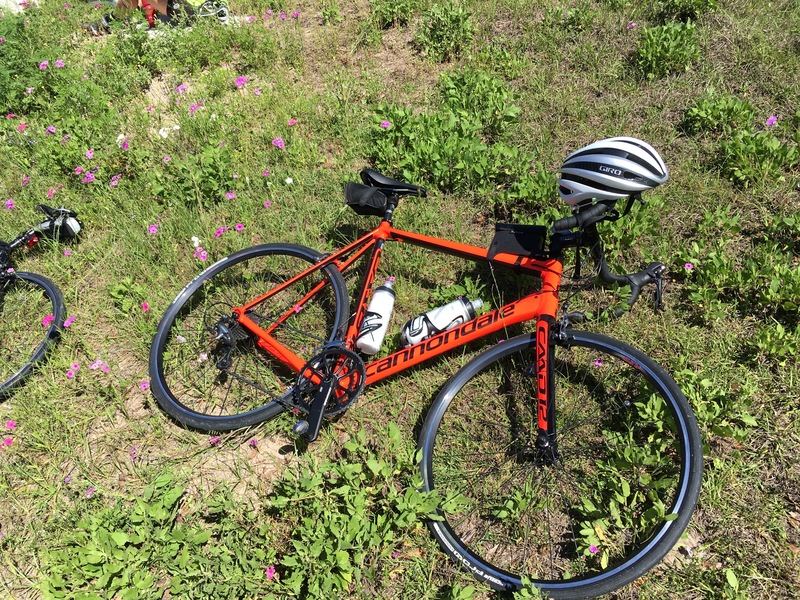 This entry was posted in Cycling, Front Page on May 9, 2016 by kitefencer.